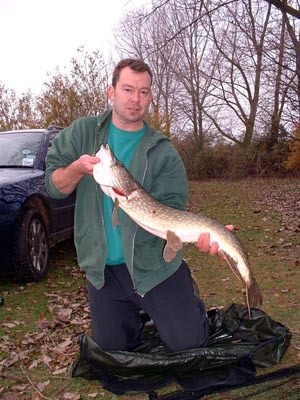 On the 18th November 23 Pike anglers took part in a charity event at Bainton fisheries to raise money for the 2nd Chance Children’s Angling Charity. The weather in the week prior had been rather cool and the water temperature was low. On the day the air temperature had raised to about 10 degrees C but the water was still cool. Top weight for the day’s event was 12lb 6oz to Alan Smith, closely followed by fish of 12lb to Chris Bishop (runner up again). The good new was that 240 pounds was raised for charity and that a good social day out was had by all. About a dozen pike were caught during the day. 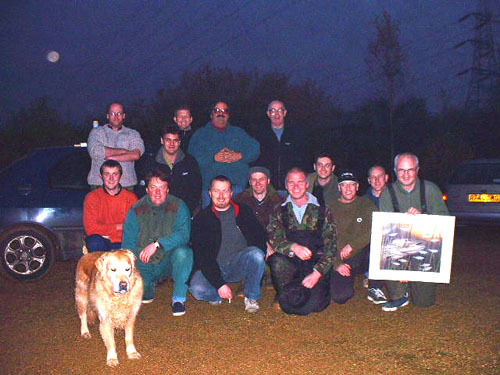 A big thank you to all that took part and there is a plan to have an April event in 2002. And now a few snaps…. 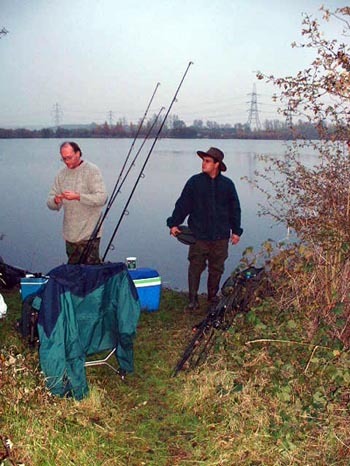 Ian contemplating a move – still he blanked! Phil with a 10 pounder – part of top bag weight of 33lb for the day. Alan Smith with top weight of 12.6, worth 50 quid as well in the pool. Jon and Chris after a hard days gossiping and putting the world (and lure anglers) to rights. 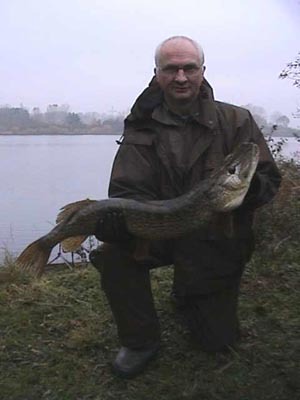 And finally the dregs that stood around for the final photo, Alan also won a Pike print donated by the lads from Improve your Course Fishing. Does Sid the dog get in all the snaps?